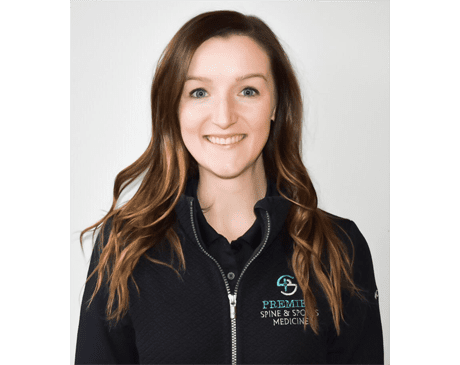 Dr. Emily Priestas joined the Premier Spine and Sports Medicine team in 2018. Emily received her Bachelor’s degree in exercise physiology from West Virginia University. She then went on to receive her Doctorate of Physical Therapy from West Virginia University. Emily’s goal is to work with each patient to develop an individualized plan to reduce pain, restore normal movement, and return to meaningful life activities, whether that involves lifting a grandchild or returning to a competitive sport. Since graduating, Emily has completed extensive coursework in physical therapy evaluation and management of orthopaedic conditions. Emily will be sitting for the American Board of Physical Therapy Specialities exam to become recognized as a board certified orthopaedic specialist in March 2019. Emily is a member of the American Physical Therapy Association and the Academy of Orthopaedic Physical Therapy. 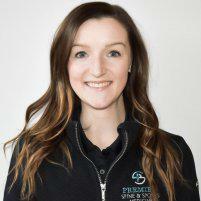 In addition to her orthopaedic specialization, Emily is also pursuing certification from the Herman and Wallace Pelvic Rehabilitation Institute to manage pelvic conditions including, but not limited to, urinary incontinence, chronic pelvic pain, vulvar pain, and interstitial cystitis/painful bladder syndrome. Emily is a native of Smithsburg, Maryland, and is very excited to return to Washington County to serve the community she grew up in. When Emily is not treating patients, she enjoys running, hiking, baking, and spending time with her husband, family, and dog.